Where the Water Tastes Like Wine is a Narrative-Adventure game about traveling, sharing stories, and surviving manifest destiny. I was one of the writers, and now you can buy it and play it right now on Steam! It’s perfect for the you-shaped person reading this post right now! It’s also picked up a lot of great reviews and ratings from players on the Steam page. Once you buy Where the Water Tastes Like Wine, don’t forget to leave your own rating! 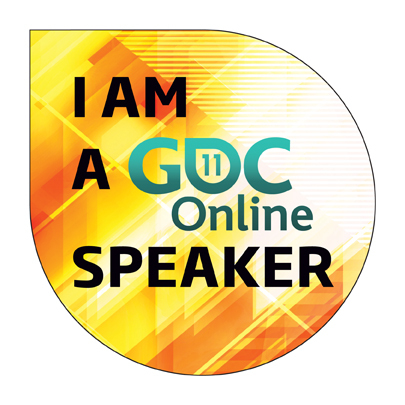 GDC Online is just around the corner, and I will be there speaking on a fabulous panel on writing stories in multiplayer games, including co-op, competitive, MMOs, and social games (of doom!). Co-op campaigns with strong story elements are more and more common. Creating a cohesive narrative for a game with drop in/drop out co-op can be uniquely challenging. A panel of experienced writers who have worked on a wide range of co-op games, spanning different genres and styles, will talk about how they met the challenge. Co-op campaigns discussed will include Marvel Ultimate Alliance Two, Guild Wars, Pirates of the Burning Sea, Red Alert 3, Call of Juarez: The Cartel, and Dead Island. Takeaway: Attendees will learn how other writers have created narratives and characters for co-op games. They will learn the tricks, the tips, the pitfalls, the problems, and maybe even a few solutions. Intended Audience: Game writers, narrative designers, producers, game designers, level designers, quest and mission designers. Anyone interested in crafting a narrative for a co-op campaign. Come on down to enjoy the fabulous insights of fellow panelists and afterwards, let’s grab a beverage at the Ginger Man! Inaugurating game writers: A scramble for power or respect? 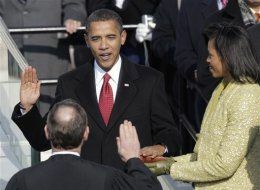 Happy Inauguration Day! As the TV news waxes on about the shift in power, my thoughts shifted to power in game development. Those of you who work in development may have witnessed power struggles between designers and programmers, or between producers and everyone else. It could be that you, as a developer, aren’t concerned about whether story and writing is relevant in games or not. Your concern may be with what writers really want — is it respect or power? Many developers, writers and otherwise, believe that if developers respected writers more and gave them the same amount of time to work as other departments, then the quality would improve. Therefore, respect for the craft must come before the craft can prove itself as a necessary component of game development. On the other hand, bringing in writers early won’t make a great deal of difference if you don’t bring in the right writers or work with them effectively. In this sense, respect must be earned, not given. Fortunately, you have this blog to master some of these hurdles already. Do you think respect comes first for writers, or that writers must first earn it? What is the real price of bringing in writers early and integrating them more fully into the development process? Some executive producers and creative directors prefer to create the story, and view writers as a potential enemy that could lampoon their stories. In this sense, writers are seen as a threat to their power and their ability to effect their creative vision. On the other hand, developers who bring on writers to improve their stories find they have the power of choice. If you don’t like the writers’ work, you can ignore it. If you like it, you are in a position to take the credit for bringing on good writers. Writers are rarely in a position to usurp your position. In this sense, writers can actually boost your power within the company. How do you view writers’ power at your company? “Narrative designers” like us seek to weave story and theme throughout every aspect of the game. It may sound like we’re trying to take over your game! But are we really after power? Certainly, there may be a few writers out there who really want to be in control. 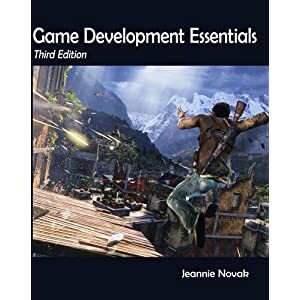 However, I would say the majority of narrative designers and writers want the same thing the artist and programmer want — an opportunity to perform at the height of our ability and use what we do best to improve the game for the player. Power, respect, what-have-you are just means to this very important end. Are you ready to inaugurate writers into your development team? What do you think the biggest stumbling block is to making a place for writers and narrative designers in games — lack of power and respect, or something else entirely? Hey Game Developers, Learn How To Use Your Game Writers! Emily Short explores whether letting your players in on story structure makes it more or less fun for them. This article explores different ways games are conceived. Oddly enough, it discusses theme with story, but doesn’t use the more literary definition of theme, which usually is some comment on mankind. Instead, theme is just the story or setting which pervades the game. What’s your take on it? The GLaDOS Effect — Can Antagonists Rule The World? Is this article about how much fun it is to play a villain, or is it about how a well-written and engaging character, villain or protagonist, can carry a game? You decide. What’s your take on these articles? See you next week for more sin!